A champion centre half back and one of the all-time greats of the North Hobart Football Club, Jack Dunn was a member of nine premiership teams for the Redlegs either side of the First World War. A product of Queen’s College and junior club Brisbane Rovers, Jack Dunn arrived at North Hobart as a raw 15-year-old in 1910, where his older brother Charlie was already an established star. By 1913 Jack had been selected to represent the TFL against the NTFA in Launceston, and the following year he was chosen as a member of the Tasmanian squad for the 1914 National Carnival in Sydney. 1914 would also be the year Dunn tasted premiership glory for the first time, playing a vital role in the great North Hobart team that took out both the TFL and state premiership titles. The TFL decider against Cananore was particularly memorable for being one of the most spiteful and ill-tempered matches in Tasmanian football history, with five players reported. The First World War put a stop to football in the state but when the TFL competition resumed both Dunn and North Hobart were at the peak of their powers. 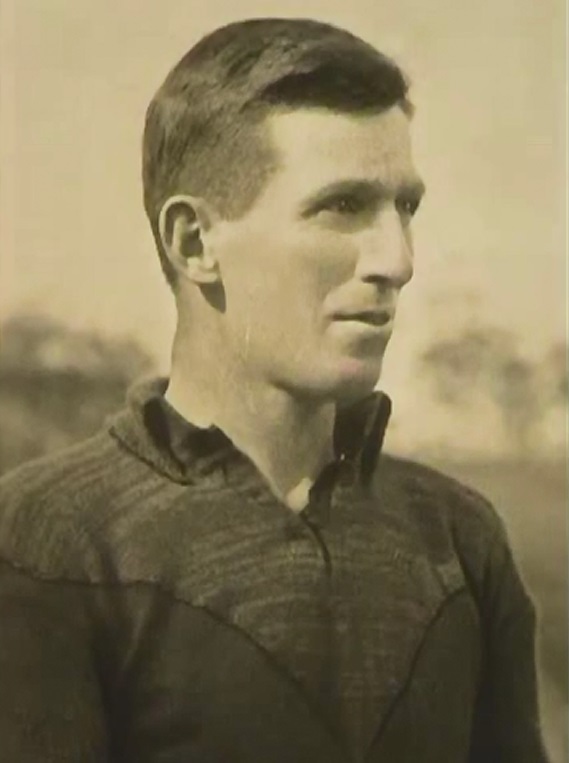 The now 26-year-old Dunn assumed the North Hobart captaincy in 1920 and immediately showed himself to be a natural leader of men, leading his side to twin league/state premiership doubles in 1920 and 1923, and winning back-to-back club Best and Fairest awards in 1920-21. In 1920 he was also appointed as captain of the TFL team, and in subsequent years not one TFL side under his guidance suffered a single loss. By now Dunn had established himself as the premier Centre Half Back in the TFL, if not the state, using his superb aerial skills and long, powerful kicking to great effect. During this period he also continued to have great success as a state representative, taking part in the TFL’s famous victory over the SANFL in Adelaide in 1923, and joining no less than six Tasmanian interstate tours to South Australia, Victoria and New South Wales. In 1927 Dunn headed north to take on the role of captain-coach of Devonport in the NWFU, appearing in four NWFU representative sides during that year and leading his side to the grand final where they were defeated by Burnie. However he only spent one season on the coast before returning to North Hobart in 1928 to begin his second stint as captain-coach (he had previously spent one season as coach in 1922). He held the position for two years, winning back-to-back TFL flags as well as a fourth state premiership in 1929. This triumph – a nine-point victory over Launceston – was widely regarded as one of his finest performances; it was also to be Dunn’s last game with North Hobart. After ending his playing career with a one-season stint at NTFA club Longford in 1930, Dunn returned to Hobart after retirement and became a long-serving North Hobart Football Club administrator. His 187 senior games stood as a club record for nearly 40 years until it was surpassed by Noel ‘Nogger’ Reid in 1956. When North Hobart announced their official ‘Team of the Century’ in 2000, Dunn was an obvious choice at centre half back, and was accorded the additional honour of being named as one of two vice captains.